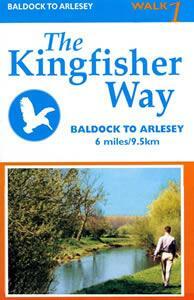 Kingfisher Way Walk - Arlesey to Baldock at Arlesey Walking RouteThe Kingfisher Way has been developed to make use of the Ivel Valley's railway stations, allowing the route to be tackled as a whole or in stages. The route provides a perfect introduction to the countryside, wildlife and history of the valley. How to get there by car/parking: Car parking is available at Baldock and Arlesey stations, and at Stotfold. If you park in the station there is a fee to pay.